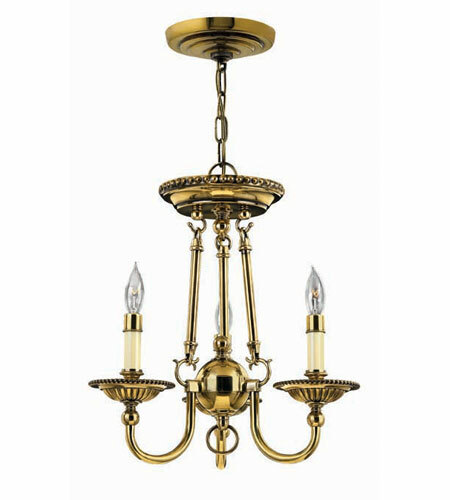 A The Hinkley Lighting Cambridge 3 Light Chandelier 4423BB has a chain length of 60" which is adjustable. The fixture itself is 14" in height. So the longest it would hang from a ceiling would be 74". This can also be shortened.